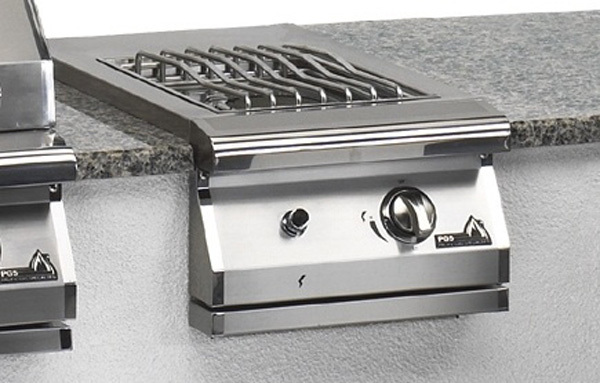 Expand your outdoor grilling capabilities with this 25,000 BTU seal top dual side burner kit. Constructed of high quality stainless steel, the burner kit, ready for built-in installation allows you to cook alongside your grilling project. Fire up the burners using the battery operated "Sure Start" electronic ignition and you'll be ready to heat a pan of sauce, boil vegetables, stir fry a side dish or start the coffee percolator. This side burner kit is specially designed for use with natural gas. The stainless steel construction insures long-lasting quality from this helpful accessory which will add a whole new world of versatility to your grill. 25,000 BTUs of cooking power. For use with natural gas grills. Features battery-operated "Sure Start" electronic ignition.